Hi, my name is Angela, I currently live in Las Vegas. My husband is in the Air Force, he has been on 14 deployments so far. I am a stay at home mom, or a domestic engineer, which ever you prefer! 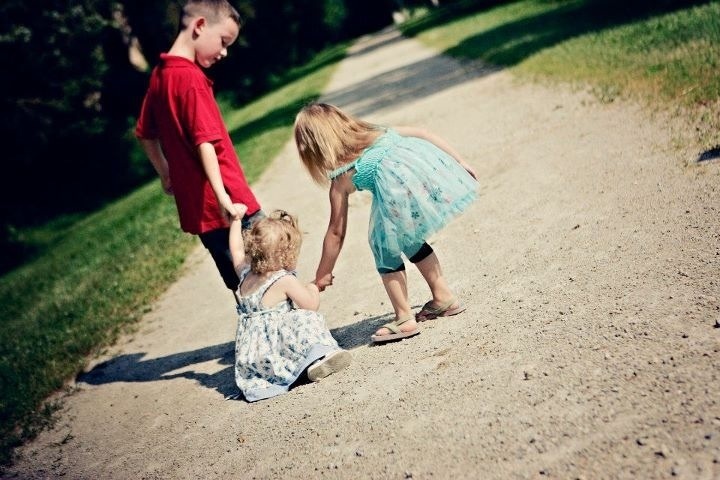 We have 3 children (Jaden 6, Shyla 2, and Schyler 1) 1 boy 2 girls. A blood hound and a baby boxer. I lived in Ohio till I married in 1994, then North Dakota till 2001, then to Alaska where Jaden was born , then here to Las Vegas in 2007 where both of our girls were born. My husband just took on a position that will keep us here for another 4 years. I decided to start writing a blog, after talking with my sister many times about it. And well, one day we were talking on the phone, and there we went… I started my blog right there and then. I am sure that to some, what I say may not be worth anything, and to others I hope that it will put a stamp on their heart. I don’t have any one type of person that I am hoping to reach, however at times I have found that writing about some of the trials of the military lifestyle not only bring some of our deployments back to reality, and hopefully they will help the family or friends of a military person, relate or get through some of their own trials a little easier. I would love to share with the military people some of the military discounts that I find, and also the non-military deals I find also! Why did I pick my blog name? I thought of it rather quickly. When Sean and I got married back in 1994 he had just got back from being in Korea for a year. It had been a long year because he did not come for a visit on his mid tour. We immediately moved to North Dakota, where he left within a few months for another deployment. After several deployments I was done, I was worn thin, and not sure that this life was for me. I was told by some of close friends and family, that “if the military would have wanted us to have a spouse they would have issued us one”. Thankfully we stuck it through all of the deployments and everything else that came along this journey we call life! We have 3 wonderful and healthy children. 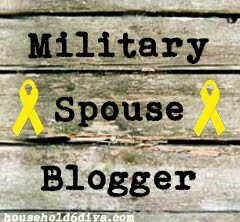 So with what I wanted to write about on my blog… military life, my life, my children and being a mommy and wife… I thought that immediately….. I am not issued through the military, but I am a wife and mom who has been through it all…. That’s me in a nut shell…. Not issued just a military mom! Hi Angela! I had a question for you about possibly collaborating on something and was hoping you could email me back to discuss? Thanks so much!